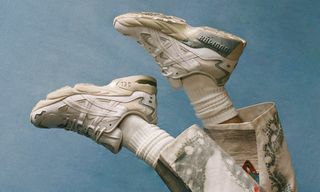 After relaunching its iconic GEL-Kayano 5 silhouette, ASICS is set to bring even more colorways of this retro runner to market during the SS19 season. 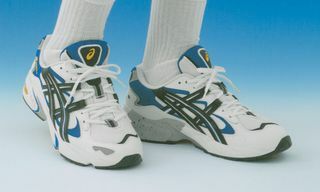 The ASICS GEL-Kayano 5 was originally released in 1999 and, as its name suggests, was the fifth in the Kayano series. 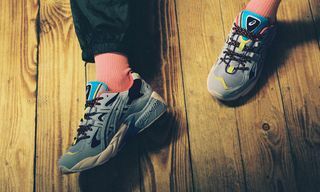 Initially built for stability and long-distance running, the sneaker featured what was at the time ground-breaking GEL technology, a heavy use of overlays, and aggressive tooling. Combined, all those design details spoke to a futuristic ’90s look. 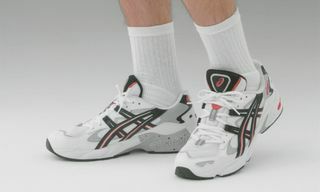 Everything from the tear drop tongue, visible GEL in the heel, and ASICS’ Quadra-lacing, was first included with performance in mind. 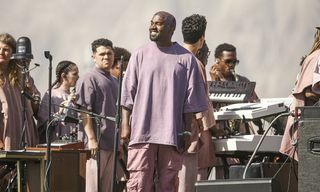 Now, 20 years later, those same features play into a nostalgic ’90s theme. 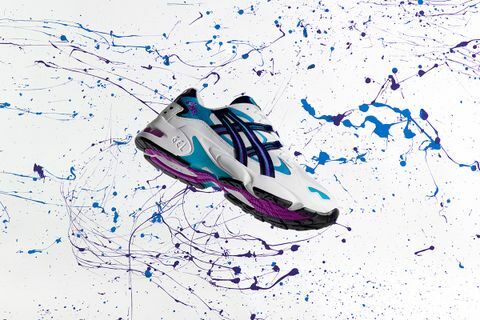 Following the sneaker’s original colorway, which was re-released one-to-one in November 2018, we now get our first look at a purple, teal, and white iteration. 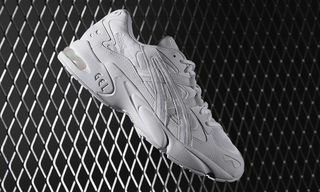 The colors, alongside the ASICS GEL-Kayano 5’s distinctive shape and design, play into the retro sportswear trend that is so popular nowadays. 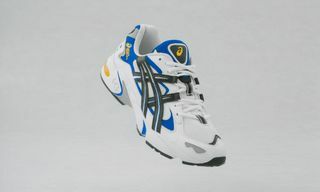 Look for the latest ASICS GEL-Kayano 5 to hit ASICS’s webstore and select retailers today, with a $120 / €140 retail price.